Cheese is just the best. There’s nothing better than receiving a text that says “wine and cheese night?” There’s a small issue though, and that’s when the cheese board ain’t up to scratch. Sorry guys, but Kraft Singles have no place on a cheese board. After being exposed to one too many sub par cheese boards, we decided to break down the anatomy of the perfect cheese board so we can nail it each and every time. 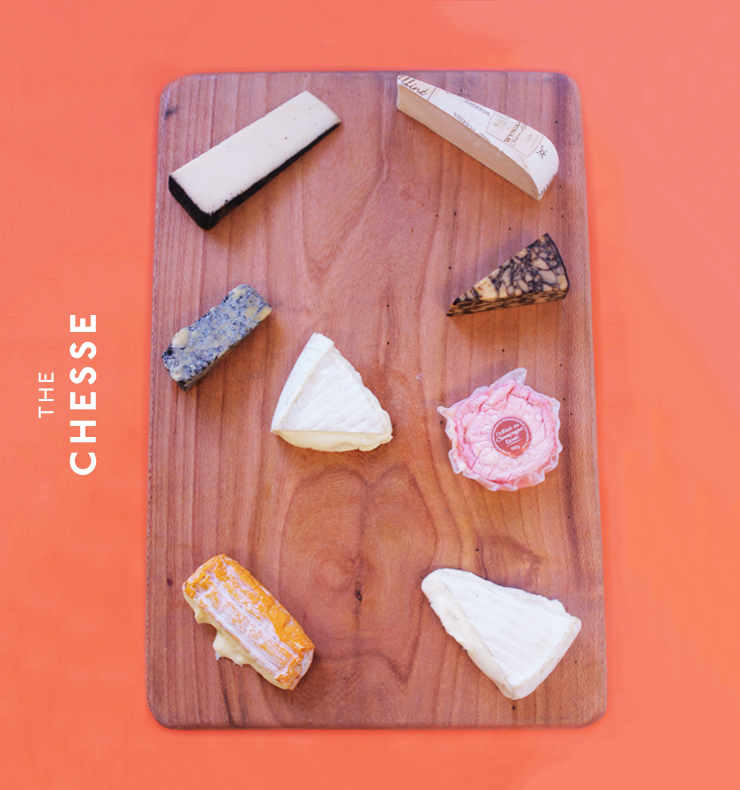 The cheese is your building block to an epic cheese platter every time. The cheese acts as your skeleton and should be selected with the utmost precision to ensure the rest of your board follows suit. Your board should include a soft cheese, a sharp cheese, a dark cheese and a blue. We picked out Irish Porter, Stanthorpe Brass Monkey Blue, Woombye Blackall Gold Washed Rind, Cremeux D’Argent, Wynagaard Goat Matured, Le’Dauphin, L’Affine au Champagne Rose, Sartori Bellavitano Espresso which we snapped up from The Stores in West End. It’s a no brainer that you need something to chuck your cheese on. The perfect vessel is a crusty baguette or sourdough bread, plus lavosh and some crackers that don’t pack too much flavour, so the cheese can really shine. The accompaniments add colour and freshness to your board. They’re essential to cut through the flavours of sharp and rich cheeses. We went with figs, olives from The Olive Men (always have a variety of green and black olives and stuffed and unstuffed – we went with almond and cheese stuffed) which we found browsing the aisles of The Stores. 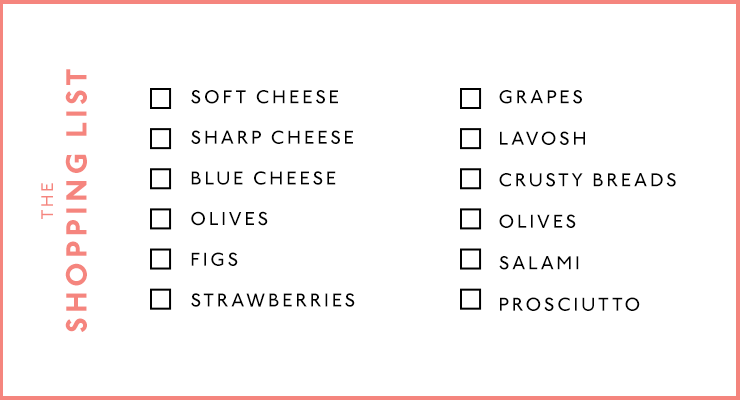 No cheese board is complete without strawberries and grapes either, people. The finishing touch should be your cured meats. You want them to be salty and melt in your mouth so that it can provide the perfect counterpoint to your cheeses and cut through the creamy richness. 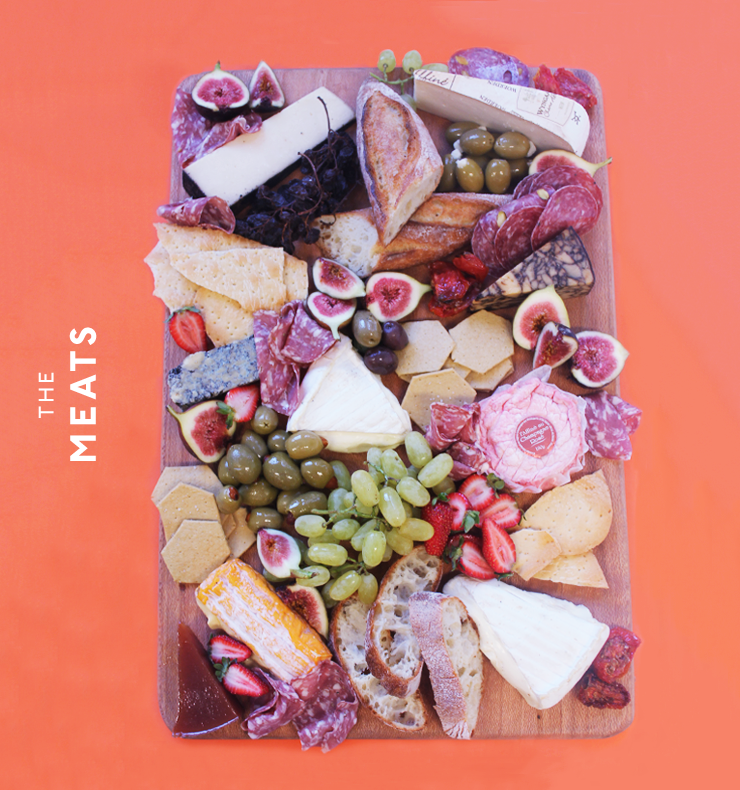 Opt for salami or a prosciutto to nail the perfect cheese board. Did we make you hungry? Check out The Stores for all the cheeses pictured.